It’s hard to believe that it’s been 23 years since this journey began. In those days the Internet was just starting to have an impact on small businesses. For most of them email was a new medium that allowed them to communicate instantaneously, but was still secondary to phone calls, faxes and even letters. Websites were not a driving force, and if you were careful about opening emails you could probably get away without antivirus programs. Netscape went from rags to riches to rags, and then rose again in the form of Firefox as open source software. 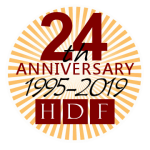 We are honored to still be supporting our very first client from 1995 and are pleased to have been able to support all of our clients through these interesting and sometimes challenging changes. Here’s to the next 23 years and all of the exciting new developments they will bring!